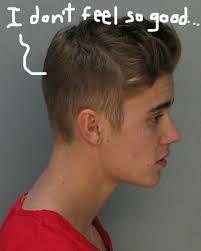 The Los Angeles DUI blogosphere has been having a field day with the DUI case of pop singer, Justin Bieber. Over the past several months, “the Biebs” has found himself in scads of trouble – legal and otherwise. We covered his January 2014 DUI arrest in Miami extensively. In case you forgot, the pop star had allegedly been drag racing with 19-year-old Khalil Sharieff on January 23rd in a rented sports car. According to TMZ, Bieber will soon be entering a guilty plea to “reckless driving” charges in that case in exchange for the dismissal of other charges against him. (Those counts had included driving without a license, resisting arrest and DUI). Although Bieber will have to go to anger management classes and pay a fine (which will obviously be nominal, given his income), he won’t have to serve jail time or even probation. The judge initially wanted Bieber to star in an anti-DUI service announcement, but Bieber’s legal team suggested that that measure was “inappropriate,” given that his BAC tested at 0.014% – far below Florida’s (and California’s) legal limit for DUI of 0.08%. (However, he did test positive for traces of the drug Xanax, an antianxiety medication, and marijuana’s psychoactive compound, THC). Meanwhile, he will apparently face criminal vandalism charges, in connection with allegations that he threw eggs at his neighbor’s property in Calabasas in January. Also in May, Bieber earned public enmity, after recordings surfaced, in which he allegedly made racially insensitive remarks. Bieber has been celebrating his recent legal exonerations: he recently Tweeted “new beginnings” to his followers. An adroit Los Angeles DUI defense can, indeed, led to “new beginnings,” even for people who struggle mightily with diverse charges. To that end, contact a Harvard Law School educated former city prosecutor (Senior Deputy District Attorney) with the Kraut Law Group today for a thorough, sensitive analysis of your defense options.